"The best guide available to the leading firms in private client fund management"
"The UK's leading Private Asset Management research tool"
"The leading directory of Private Asset Managers"
First published in 1999, the PAM Directory remains the most authoritative independent source of reference on the UK & Crown Dependencies private asset management sector. Private asset management encapsulates a broad range of different types of institutions that manage discretionary and advisory portfolios for private clients in separately managed accounts, including private banks, retail and commercial banks, investment banks, independent investment managers, multi-family offices, private investment offices, fund management groups, stockbrokers, insurance companies, hedge fund managers and independent financial advisers. An annual review of the UK & Crown Dependencies private asset management sector, highlighting the latest trends and developments. Rankings of the fastest growing businesses, by assets under management in absolute and percentage terms over one, three and five years. Rankings of the largest firms, by assets under management and number of clients, showing year-on-year changes. Rankings of the fastest growing businesses, by number of clients in absolute and percentage terms over one, three and five years. Numbers of client-facing staff and private client accounts. Minimum investment thresholds for both discretionary and advisory mandates required by each firm. Business splits between discretionary and advisory mandates at each firm. Details of the past year's corporate activity, such as mergers, acquisitions and new entrants. Regional listings that show where institutions have local offices. The results of the latest PAM Awards, showing winners and finalists across all categories. Annual investment performance summary tables from the ARC Private Client Indices (PCI). 10-year MSCI index performance history, showing annualised and cumulative net total returns. 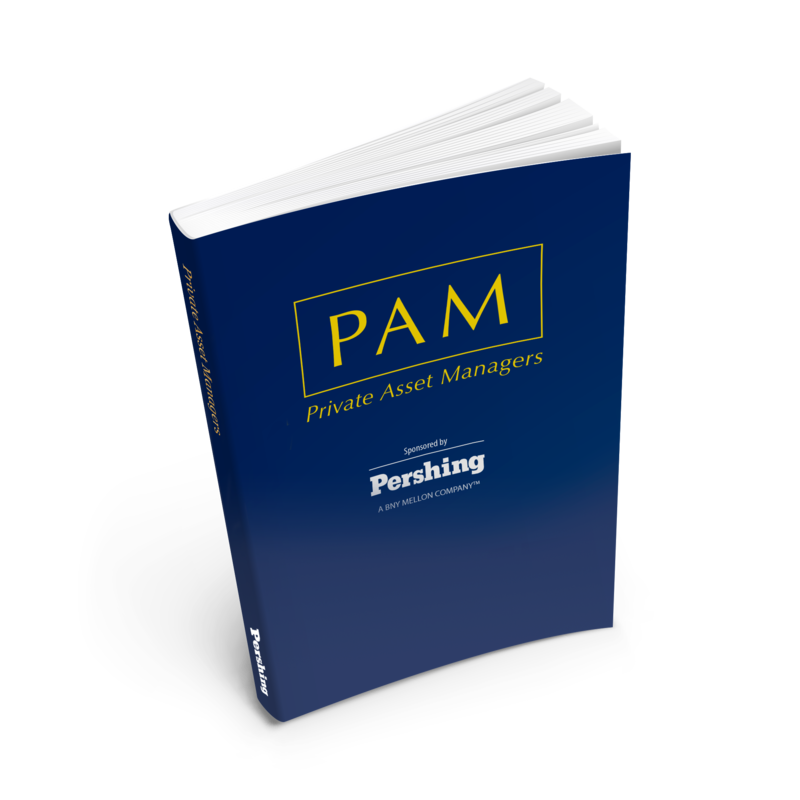 The PAM Directory is an essential tool for anyone that has dealings with the private asset management sector, including amongst others: prospective clients; professional advisers; corporate advisory firms; industry analysts; IT companies; legal advisers; trust and corporate service providers and, of course, industry participants themselves. Order the 2018 PAM Directory for £595, including postage and packaging.